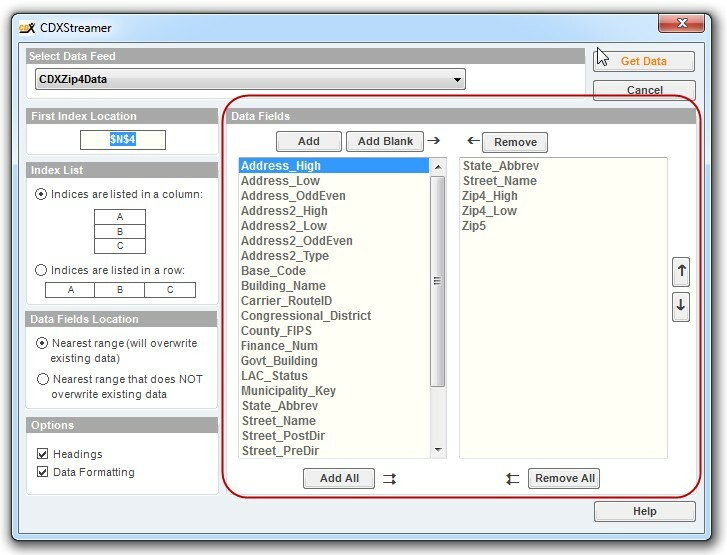 The CDXStreamer main interface includes two lists of data fields. 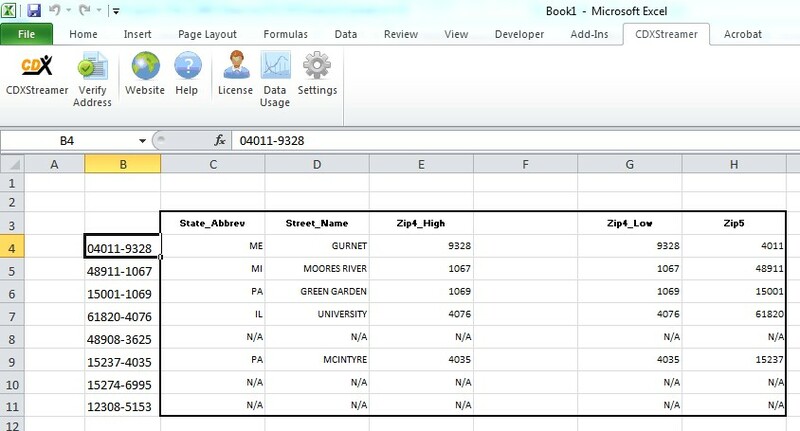 On the left is the list of available data fields (which depends on the selected data feed), and on the right is the list of selected fields you would like to obtained for your index list. Use the "Remove" button to remove selected fields on the right. Clear the entire list by clicking "Remove All" or add all available fields by clicking "Add All." If you would like to change the order of the selected fields, select one or more data fields on the right and click the up or down buttons. Each click will move the selected fields one row. You can also use drag and drop to do this.